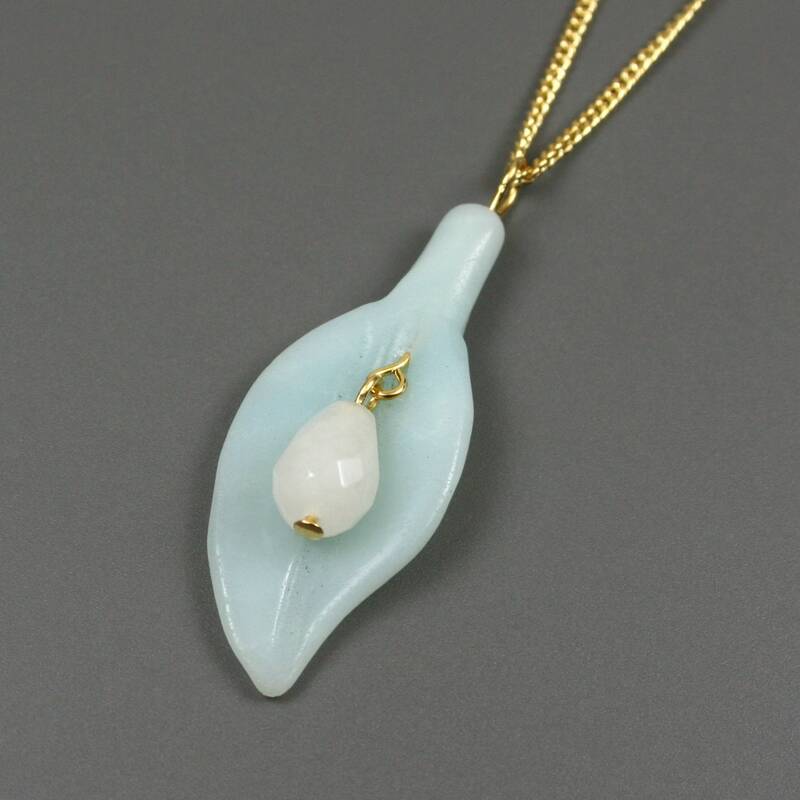 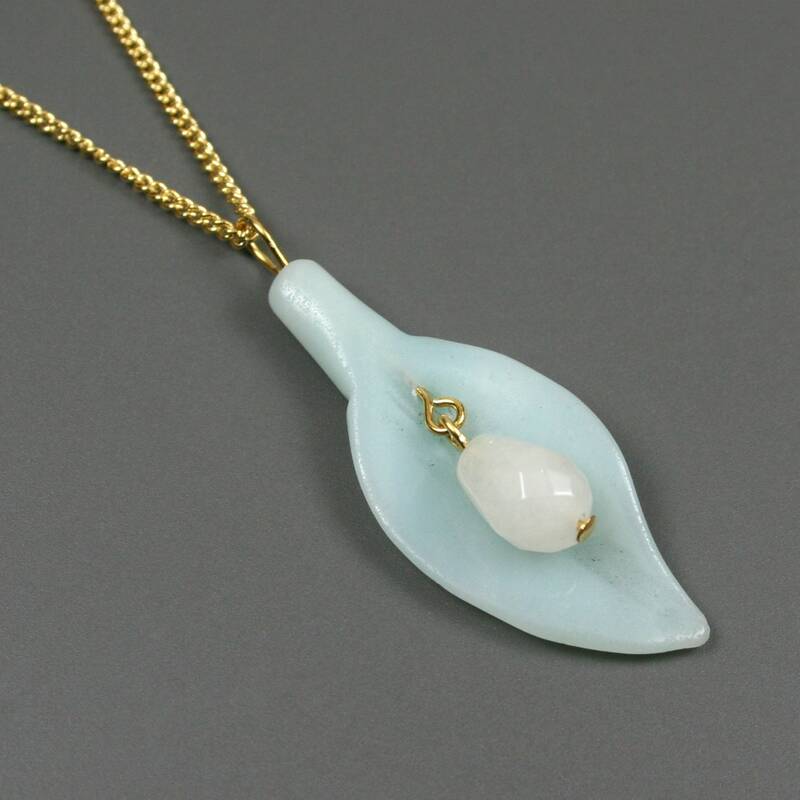 This pendant consists of a 40x18 mm amazonite stone carved in a leaf shape with a 10x7 mm faceted snow quartz teardrop hanging in the center of the leaf. 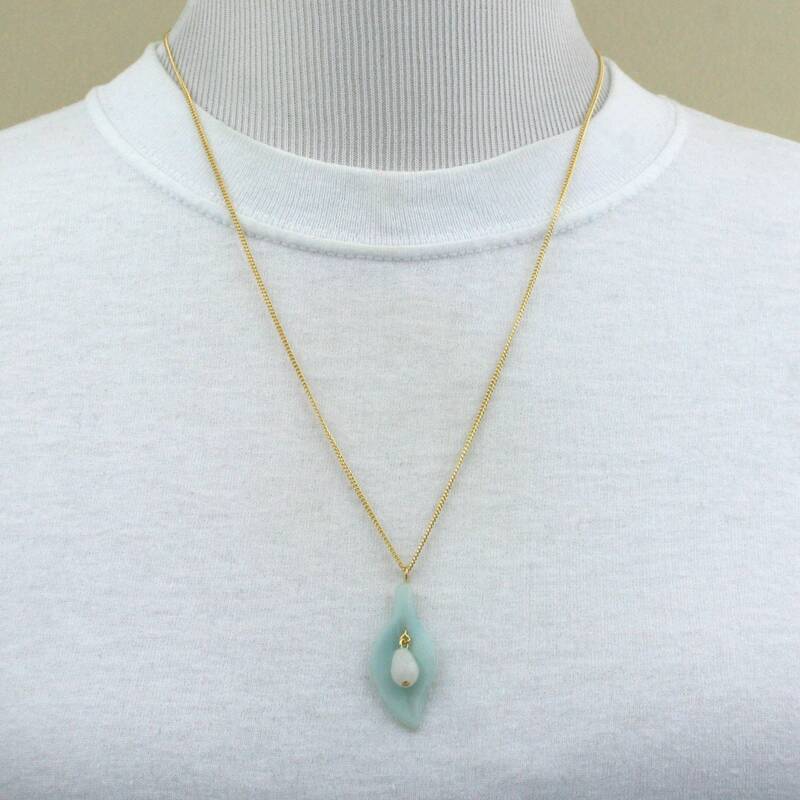 The pendant comes on gold plated curb chain that is 24" long with a 1.25" extender chain and a lobster clasp closure. 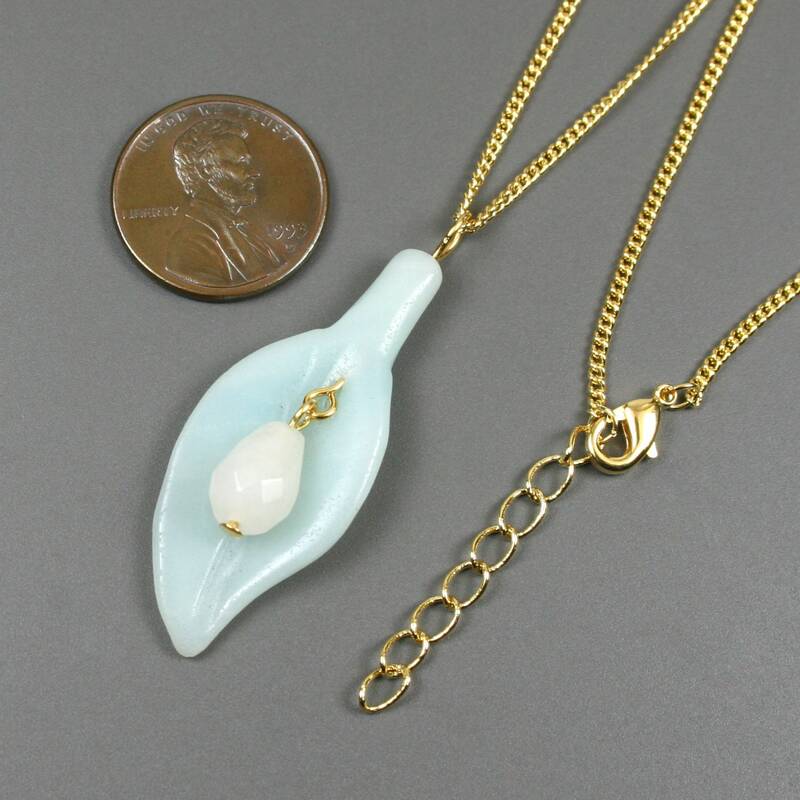 Coordinating earrings are also available at https://www.etsy.com/listing/605955276/.